A lot is changing in the cosmos, and we will be feeling the effects even after this New Moon is over. Uranus is associated with changes and awareness. It is going to move into Taurus, the sign of stability and strength for the next 8 years. 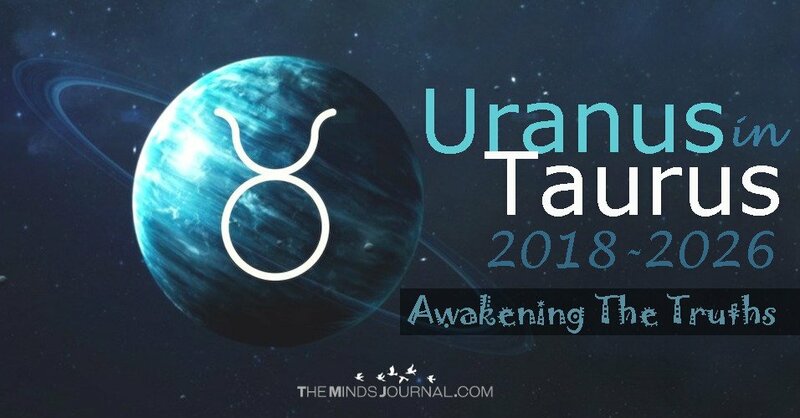 Uranus’ stay in Taurus begins on the day of the New Moon, 15th April 2018 and ends in the year 2026. Such events create a strong upheaval in the energies and leave their mark on everyone and everything. So how exactly is this transit going to affect us all? Well we are all going to be awakened to some much needed truths. 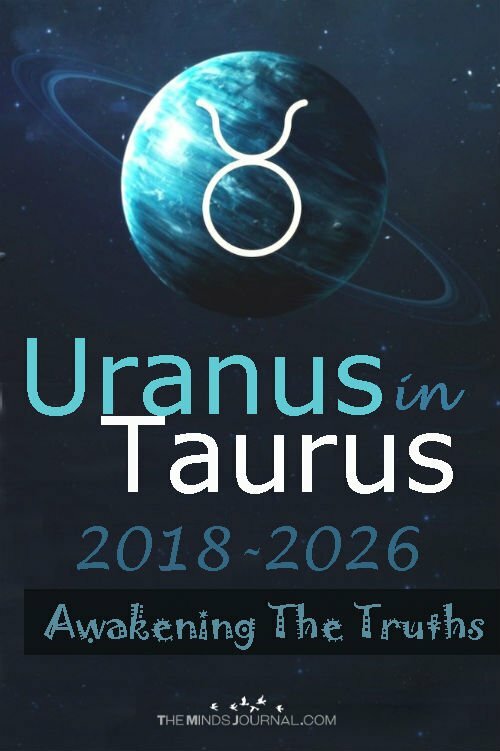 Also, we would finally be working on the things which were set in motion during Uranus’ last transit (into Aries) during the years 2010-2011. Whatever was started is now drawing to its close. Things would finally start making sense to you. Evaluate your journey from then till now, and you will be able to create a map of areas you still need to work on. Most importantly, keep a positive attitude about the things you have experienced and how it has changed you as a person. Now talking about the present, Taurus is known for being grounded and stable. This particular sign is least likely to want to change; whereas Uranus is always all revved up to change things on their axis. So how exactly will these two opposing nature come together to affect your life? Well, it is going to be a tough fight between the two. You’d want to make some changes in your life, but will find it hard to do so. But the changes are going to take place within you and outside as well, so eventually you will learn to accept them, though it is not going to be an easy ride. This transition will open your eyes to your feelings if stability and security. Taurus always wants to play it safe and stick to what it knows. But that is not always possible. So this is the time to let go of our insecurities and venture out into the unknown. We need to trust ourselves that we can survive the risks and only then will we be able to learn and grow. This is not going to be the most comfortable situations, but it is something that you need to do if you want to realize your full potential. Globally too there are going to be challenges abound. Environment is set to take the center stage, and we all have some reckoning to do especially how we treat our planet. There might be a deluge of natural disasters as well. There are also going to be new innovations in the world of finance, fashion, medicine and many other industries. Overall, this period will bring about a lot of uncomfortable changes. But in the long run, these changes will prove to be actually adding to the security which Taurus so badly craves.